Davis Carter Scott (DCS), one of the largest locally-owned architectural and interior architectural firms in the D.C. Metropolitan area, offers expertise in land-planning, architecture, interior architecture, and sustainable design. 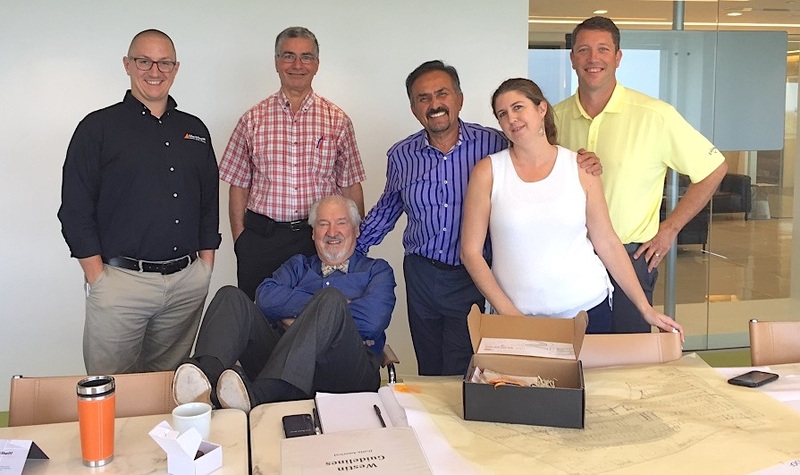 In business for 50 years, DCS continues to rely on the core values on which it was founded – commitment to the profession, the community, their clients, and their employees. These are values Allen & Shariff shares with DCS, as well as a reputation for honesty in all interactions, whether personal or professional. 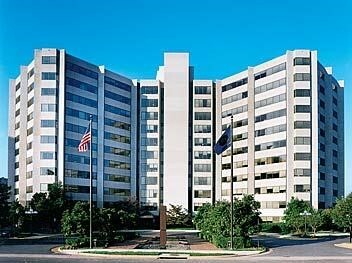 Allen & Shariff provided MEP engineering consulting and LEED Prerequisite Commissioning for two high rise Class A office buildings with retail and underground parking garage. The mechanical system includes a central chilled water plant located at roof level for each building. Each chiller plant consists of two centrifugal chillers, two draw-through cooling towers, plate and frame heat exchangers, and primary/secondary pumping arrangement. Floor by floor low temperature AHUs supply conditioned air to fan powered terminal units with electric heating. A separate cooling tower and pumping system serves retail tenants. At Allen & Shariff, we’re pleased to have contributed to a project that was granted LEED Gold Certification. 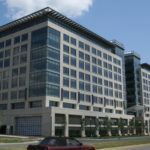 John Marshall III is the third phase of the Booz Allen Hamilton corporate complex in Tyson’s Corner, Virginia. 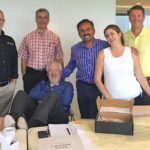 Allen & Shariff was the mechanical, electrical, plumbing (MEP) and Fire Protection Engineer of Record for the 180,000 square foot, nine story office building. The central HVAC equipment consists of cooling towers, open loop pumps, and a 100% outside air unit. Electrical design included incoming electrical service and electrical bus duct with high and low voltage panelboards on each floor. The parking garage electrical design included protective area lighting systems, roadway lighting for inside and the immediate exterior perimeter of a five-level underground garage. 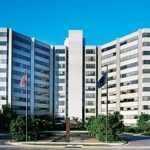 An ADA compliant fire alarm system with a fire control room and wet and dry sprinkler systems were designed for this project. 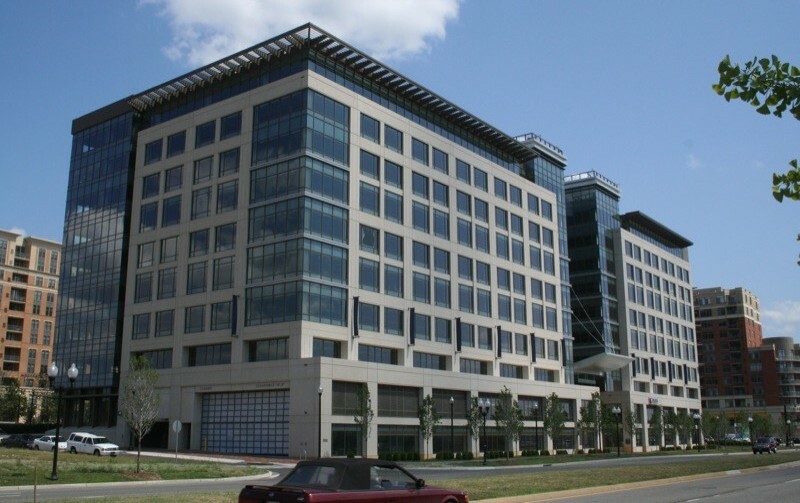 Allen & Shariff is the mechanical, electrical, plumbing (MEP) and Fire Protection (FP) Engineer of Record for this new 166,000 square foot, seven story office building in Arlington, Virginia. 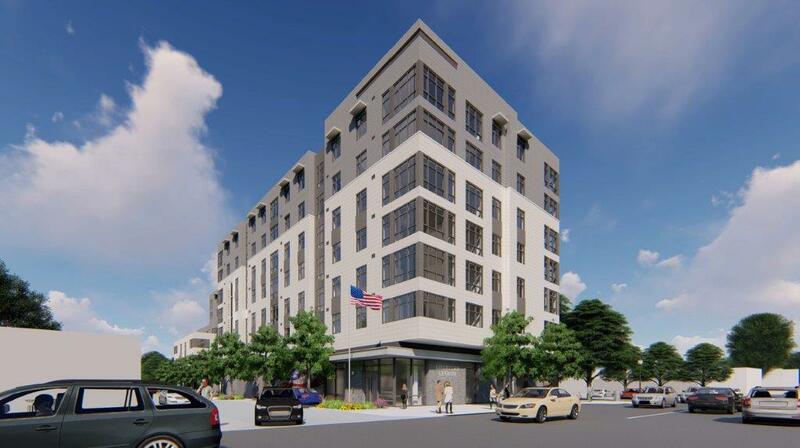 The building includes 160 units, condo space for the American Legion, and will have one level of underground parking. The state-of-the-art HVAC design includes air-cooled, direct expansion (DX) split systems serving each residential unit, amenity and common areas, and condo spaces. Electrical design includes incoming electrical service and electrical busduct with panelboards on each floor, lighting and power distribution. In addition, natural gas will be used in the American Legion kitchen for cooking and generating domestic hot water, for DOAS mechanical heating, and domestic hot water for the central laundry. 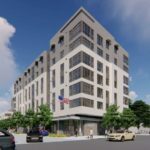 An ADA compliant fire alarm system with wet and dry sprinklers and standpipes have been designed for this project.